These events are running alongside an online survey at www.pclconsult.co.uk/liveablecrouchend – it’s live until Thursday 31st January (there’s an email too, [email protected]). We’ll only get the improvements we want if we tune in, turn out, make suggestions, and otherwise stick an oar in. So do please click on the link and make local opinion count. A TfL initiative, funded by TfL and delivered by Haringey, the project has the better part of four years to run, with further consultations, design development, stakeholder forums, trial road closures, and the significant road engineering all to come. 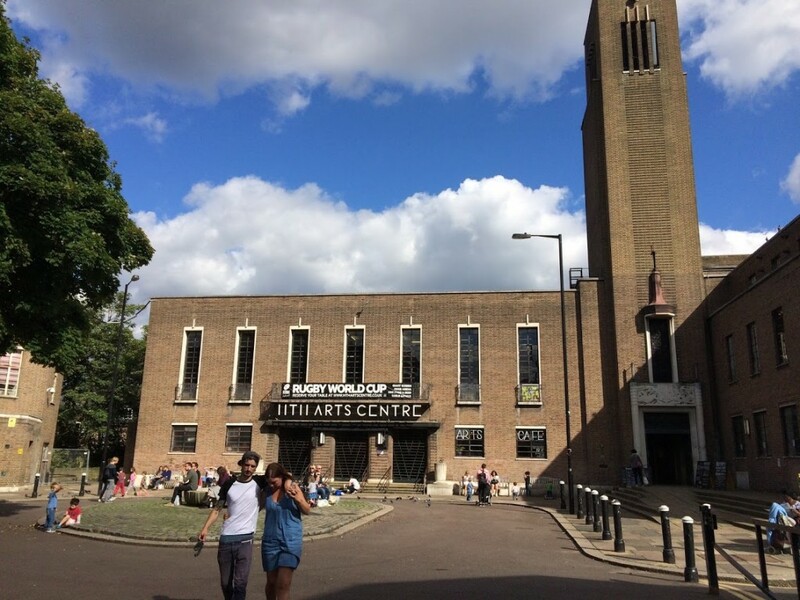 Haringey have appointed consultants ‘Project Centre’ to lead. The aim is, of course, to encourage more people to walk, cycle and use public transport – and not to use the car, see this recent news on the subject of designing-out traffic. You have been warned. The Project Centre project website has useful guides to the initiative and the Crouch End scheme. Do take a look, and we’ve appended the FAQs below. The Forum will take a full part in activity and we remain an independent voice, aiming to put local opinion, be it business, resident or visitor, at the centre of the scheme. We too look forward to hearing from you. We’ve outlined our thoughts as details of the scheme have emerged over the last year, please see Forum posts on the liveable neighbourhood initiative here. Our current understanding is that in addition to the present round of engagement, contact with local businesses will take place in January, with a more widely drawn ‘stakeholders forum’ established. Expect a variety of future events which may include temporary road closures (all the better to make a splash). The next round will include co-design workshops, thence the development of concept options, further public consultation, design development, tendering, and construction. We’ll keep you posted. Why is LN funding available? The Mayor’s Transport Strategy sets out a vision for making active and sustainable transport the most appealing and practical choice for 80% of journeys in London by 2040 using the Healthy Streets Approach. TfL’s LN programme has been created to fund projects in boroughs that will help deliver that vision, making streets more attractive, healthier and safer for walking, cycling and using public transport. What are the Healthy Streets outcomes? 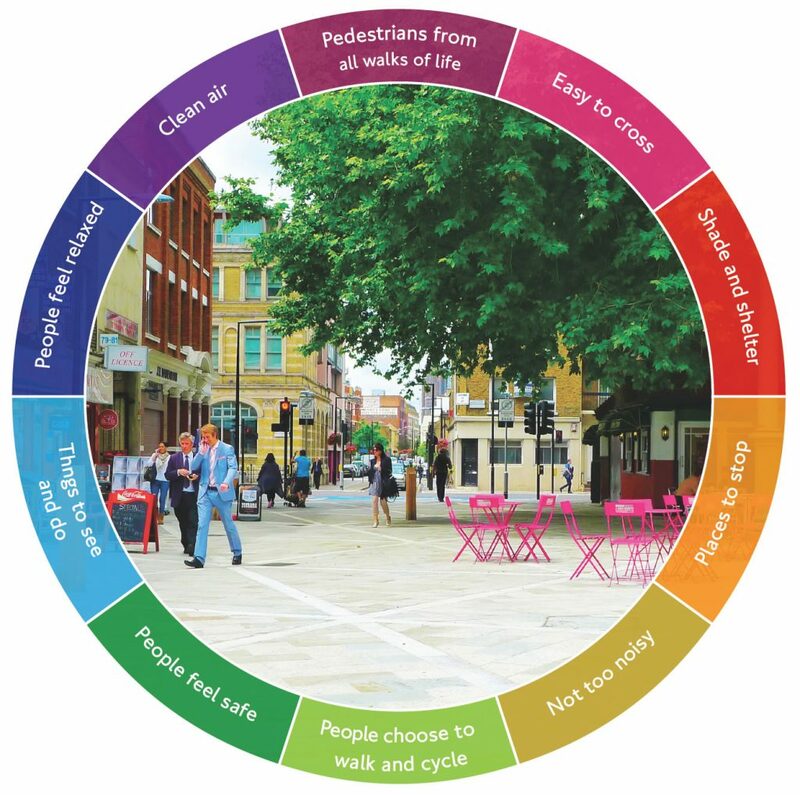 – Pedestrians from all walks of life: Streets should be inviting for everyone to spend time and make journeys on foot, cycle or by public transport. – Easy to cross: The types of crossing needed will vary, but on all streets it should be easy for people of all ages and abilities to find a safe place to cross without having to go out of their way. – Shade and shelter: High winds, heavy rain, high temperatures and sun exposure can have a significant effect on people’s ability to travel actively and spend time in the street as well as their enjoyment. The need for shade and shelter will increase as the climate changes and London experiences more extreme weather. – Places to stop and rest: Ensuring there are places where people have room to stop or somewhere to rest benefits everyone, including local businesses, as people will be more willing to visit, spend time in, or meet other people on these streets. – Not too noisy: Reducing traffic volumes and speeds, quieter vehicles and low noise road surfaces will all benefit health as well as improve the ambience of street environments, encouraging people to interact and travel actively. – People choose to walk, cycle and use public transport: Walking, cycling and using public transport should be the most attractive ways to travel, and making them more enjoyable will benefit everyone, including those already travelling on foot, by bike or public transport. – People feel safe: People will be less willing to walk, cycle or use public transport if they feel unsafe on a street. The whole community should feel comfortable and safe from crime, intimidation or injury on any street day and night. 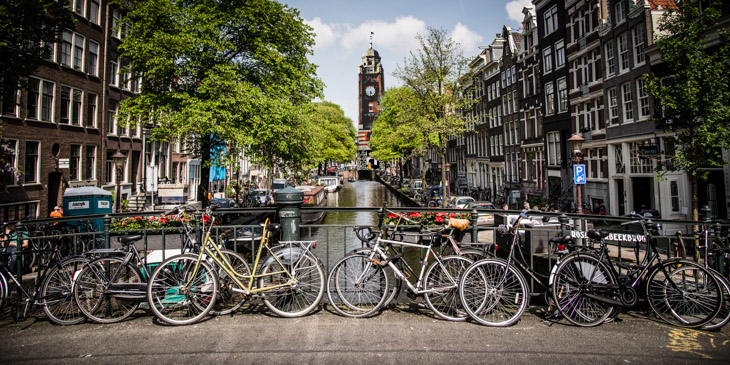 – Things to see and do: People are more likely to travel actively when there are things to do locally and will also be less dependent on cars if shops and services are within walking distance. – People feel relaxed: People are more likely to walk or cycle if they feel relaxed and find it enjoyable. Good quality street design, a clean, well-kept environment and plenty of plants can help create attractive and relaxing places to walk and cycle. – Clean air: Anything that significantly reduces the amount of traffic on the road or reduces the number of high polluting vehicles will help improve local air quality and will contribute to any citywide measures. What are the main objectives of Liveable Neighbourhoods? What area does the Liveable Crouch End scheme cover? How much will the scheme cost and how will it be funded? At this stage TfL is splitting £1.25million between the seven boroughs who were successful in bidding for funding – Haringey, Ealing, Greenwich, Hackney, Havering, Lewisham and Waltham Forest – to help develop the plans further and ultimately secure a share of a total £114million. The final scheme will be designed to the amount of funding available. Have the changes already been decided? We’re at the very early stages of the scheme and currently nothing is fixed or defined. We want to hear ideas and issues from the local community to help inform the designs for the scheme. This project will make fundamental changes to the infrastructure on the street as well as the travel behaviour of residents, businesses and visitors to Crouch End, so we want to make sure those changes are guided by you and your needs. How will the scheme consider accessibility? We want the area to be as accessible as possible to everyone, and the scheme will be co-designed with the community aims to be inclusive and improve accessibility. If you have any suggestions on how the area could be made more accessible please let us know by adding them to the interactive map, or filling out the survey. Will parking be taken away? Some parking spaces could be reallocated for parklets, cycle parking or taken out to put in new pedestrian crossing facilities, but this will all depend on the results of the public engagement. Some partial or full road closures may be looked at as part of the scheme, but only if the local community tell us this is what they want. How is parking and loading affected? Parking and loading bays and restrictions will reviewed as part of the overall scheme but changes will only be made if they look beneficial to the scheme aims of encouraging walking, cycling and public transport, and if the local community are in favour. How will I be affected as a commuter/cyclist/pedestrian? Commuter: improvements made as part of the Liveable Crouch End scheme will help to reduce journey time and ease congestion, leading to better fuel efficiency and lower carbon emissions. Cyclist: the Liveable Crouch End scheme will be designed around creating safer journey for cyclists, with reduced congestion, improved stopping at junctions and better air quality as carbon emissions are lowered. Pedestrian: the final scheme is likely to include better crossing facilities and changes to the pedestrian areas of Crouch End, such as better paving, areas to sit and rest, greening, and will benefit all by lowering carbon emissions, making a safer journey for everyone. Is safety being embedded in the scheme? The Police and Safer Neighbourhood Teams will be involved throughout and safety will be embedded in the scheme. How will local businesses be involved? Local businesses will be contacted directly and invited to share their views via the PCL Consult website and face to face business forum events during the engagement process. 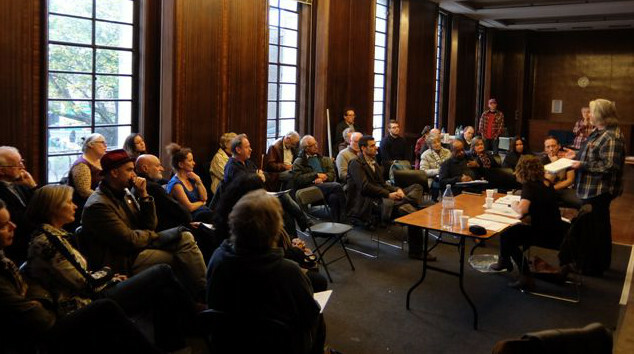 How will local people be involved in Liveable Crouch End? Local people will be involved through the key stakeholder groups and through the scheme engagement programme, which includes online, written and face to face engagement. Who can I contact about Liveable Crouch End? That first drop-in session s a jolly good chance to discover what the co-work space actually feels like. I peered in at the cafe today and it was lit up as though open, but just at that moment I could see no customers. We need more mature trees (not saplings), better facilities for disabled, help for homeless, and new bus routes (1) Crouch End- Bishop’s Avenue-Hampstead Heath-Brent Cross and (2) Crouch End- Turnpike Lane-Tottenham. This could all be one route, Perhaps some social housing to even out all the luxury flats?